Half Moon New to the market is the best equipped (and ONLY Bill Shaw approved sloop/cutter modification!) Pearson 424 on the market! 2009 Yanmar engine, updated electronics, heavy duty custom arch, water-maker, and much more! This beautiful Pearson 424 has undergone extensive renovations, including having the mizzen removed and the boom extended providing valuable additional cockpit space while improving sailing performance. This blue-water capable, well equipped Pearson 424 Half Moon is ready to set sail today. 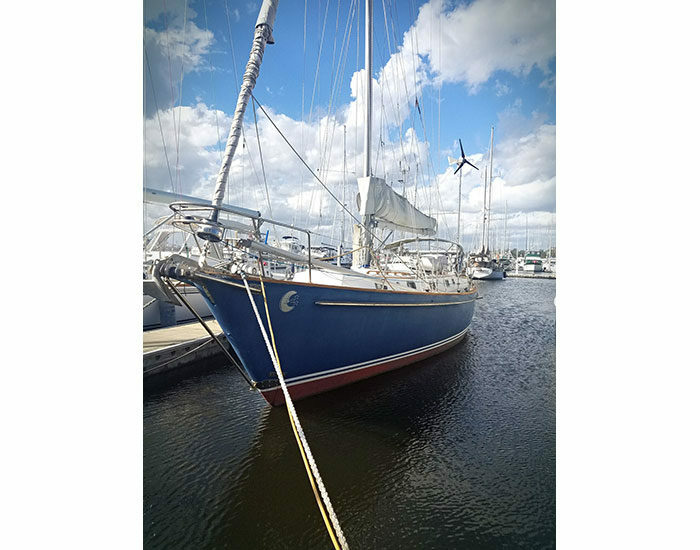 Contact Ryan Daniels Email or 904-580-0559 for more information and an appointment to view this 42′ Pearson sailboat for sale.